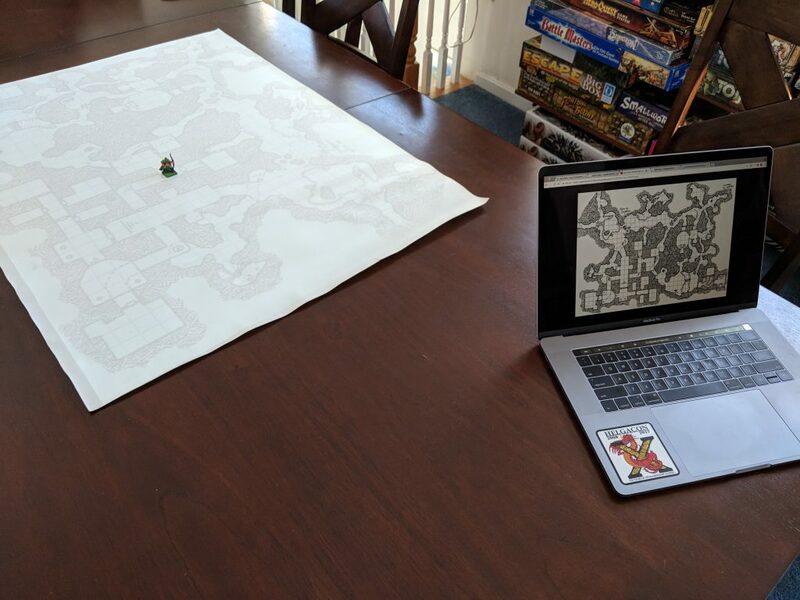 I want to replace the ChromeCast with something that supports AirPlay, so the projected image can just act as a second monitor. I also need to look into some tech to flip the image. I’m using a mirror to redirect the projector so the image is backwards. I imagine there must be software out there that will flip or rotate an entire screen, but I stopped myself from googling “osx pervert image” just in time. Basically it’s just a floating shelf attached to the ceiling. 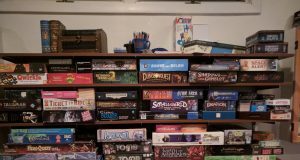 My ceilings are quite high in my game room, which is nice to make sure the image fills a good part of the table, but the slope makes it kind of a pain for keeping the shelf level. 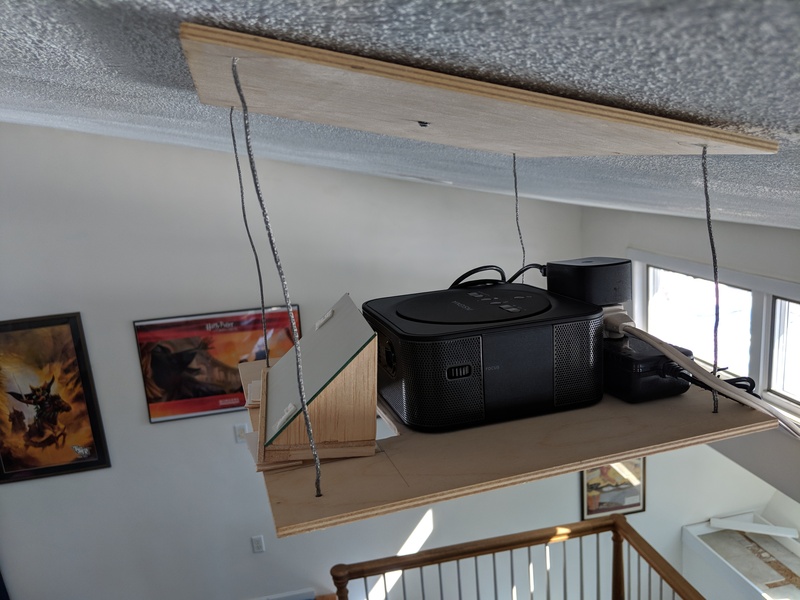 I ended up using two pieces of wood, one to anchor to the ceiling and one to hold the projector, held apart by picture hanging wire. The wire is stiff enough to feel stable while malleable enough to easily adjust individual lengths to get the thing level. I cut a hole in the bottom piece of wood and built a little wedge thing to hold the mirror in place out of balsa wood. 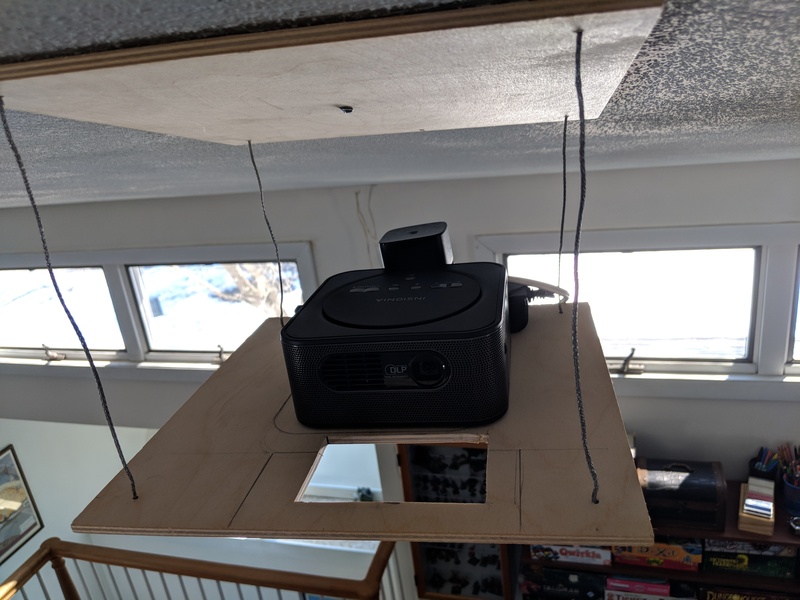 The projector is quite small and light (fits in one hand), but I really wanted to keep everything as light as possible given that the whole thing is held up there with just a single heavy duty drywall anchor. 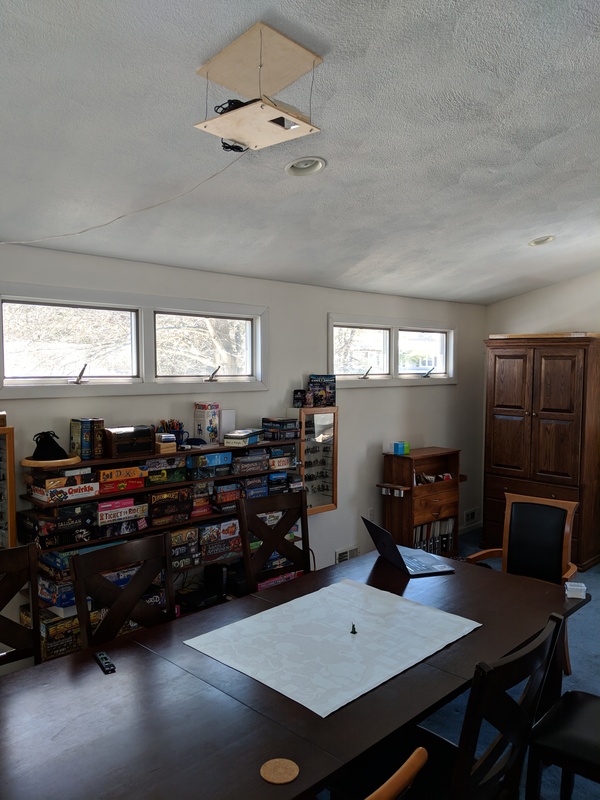 I wanted to keep the impact on the ceiling as minimal as possible. 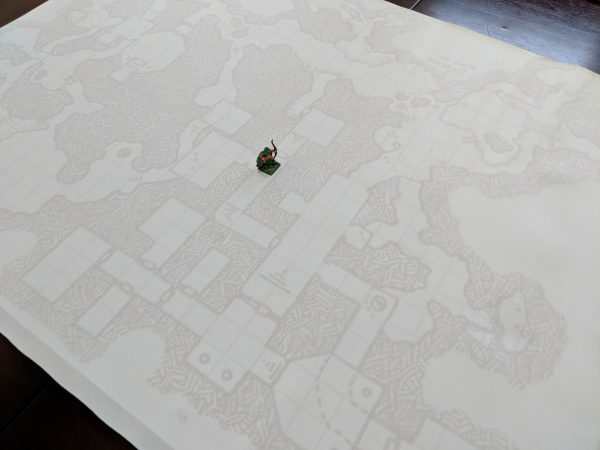 When not gaming you can take the whole thing down and only a small bit of silver anchor is visible, and that I may touch with some white paint to really hide it away. 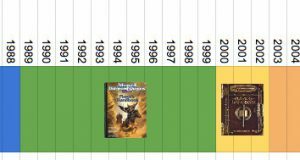 I went through a couple revisions before landing on this. I had an ill-fated attempt with no upper piece of wood and the four corners held up by string to a single hook – the whole thing tipped while I was working on it and while I luckily caught the projector as it fell, the mirror hit the table, leaving a good ding on the table and breaking itself in half. Fortunately the mirror is quite cheap and easy to replace — it’s a clip on mirror for a car’s sun visor bought at the local hardware store for $4. I bought two more, just in case. I’m looking forward to finding a real use case for this thing. I’ll post a report if and when that happens.